If you cannot complete the full application at once, please fill in your email address and click "Save Progress" at any time. You will be sent an email with a link to your saved application. 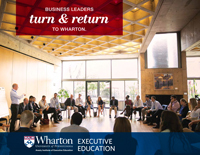 Have you taken an executive education program previously? 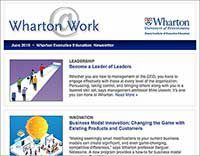 If so, please indicate provider: Select OneWhartonHarvardChicago BoothColumbiaIESEIMDINSEADLondon Business SchoolMIT SloanStanfordOtherI have not taken an executive education program previously. What are your primary responsibilities within your organization?